Driving a car and running errands may seem like trivial tasks, but they allow you the freedom to leave the house. When you reach a certain age, these tasks quickly become more difficult due to poor eyesight, loss of memory, or other problems that are associated with old age. At Optimal Home Health Care in North Attleborough, we provide seniors with the help and care that they need to restore some of their freedom. Instead of moving your loved one into a home that is unfamiliar, Optimal Home Health Care provides all of the services that you need, but we allow your loved one to stay at home. To learn more about our home health care, give us a call now! When you were young, errands were thought of as a chore. However, that all changes when you are no longer able to leave the house. Optimal Home Health Care’s senior transportation gives you or your loved one the tools they need to do something as simple as going to the grocery store. 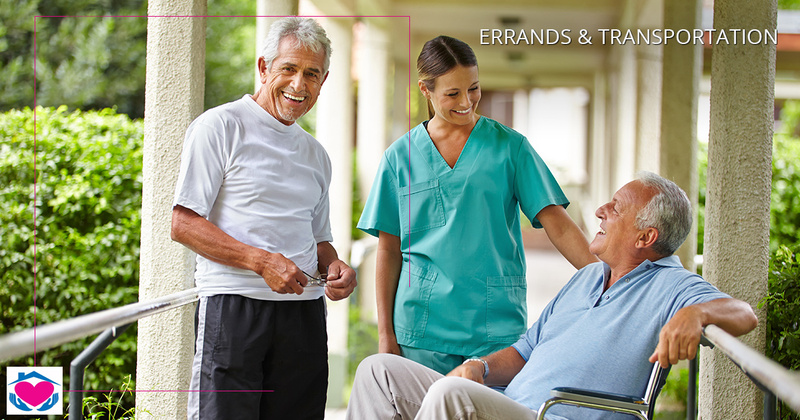 Allowing your loved one to run errands under the supervision of our home health aides, gives them the freedom that they may have thought they lost. Just because you or your loved one can no longer drive, doesn’t mean that you should have to give up some of your favorite activities. At Optimal Home Health Care, we offer transportation for seniors to help them get wherever they need to go safely. If your loved one goes to church every Sunday or likes to go to the botanical gardens, our home health aides will help them continue that tradition. If you are worried that your loved one is stuck at home, allow them the freedom of getting out of the house with Optimal Home Health Care. We offer a variety of services to help seniors live a better life at home, including senior transportation. To learn more, give us a call at (508) 499-0483 today! ©2017 Optimal Home Health Care - Do not copy. All rights reserved.